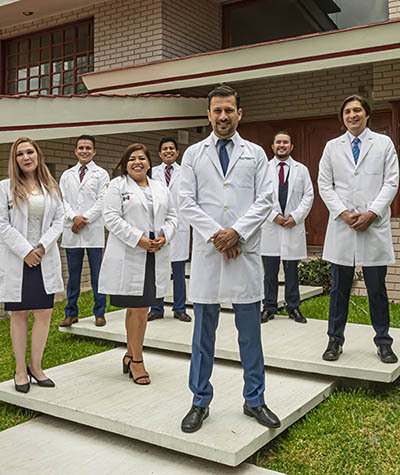 Gastric Bypass Mexico is a medical group located in the city of Guadalajara, experienced in the widespread of obesity and metabolic diseases surgical procedures. Our professional crew is integrated by certified Doctors and experts in Bariatric Surgery and Laparoscopy; as well as Nutritionists, Psychologists and Physical Activators. We can offer to our clients personalized and customized treatments due to our 15 years’ background. We perform all bariatric procedures in private hospitals, using leading technology and following the highest safety and hygiene standards. Our surgical options are the gastric sleeve, gastric bypass, SADI-S and the so-called duodenal switch, considered one of the most effective surgeries for people suffering from morbid obesity with a BMI greater than 50 (as a rule). But the treatment does not end with an operation, this is only the beginning to a complete recovery. Once the surgery has been com	pleted, we follow up each patient with a nutrition program and physical activation, in addition to the important psychological support to achieve the weight loss goal. Recovery in a few days. Control over diseases related to metabolic disorders, such as Hypertension and Diabetes type 2.